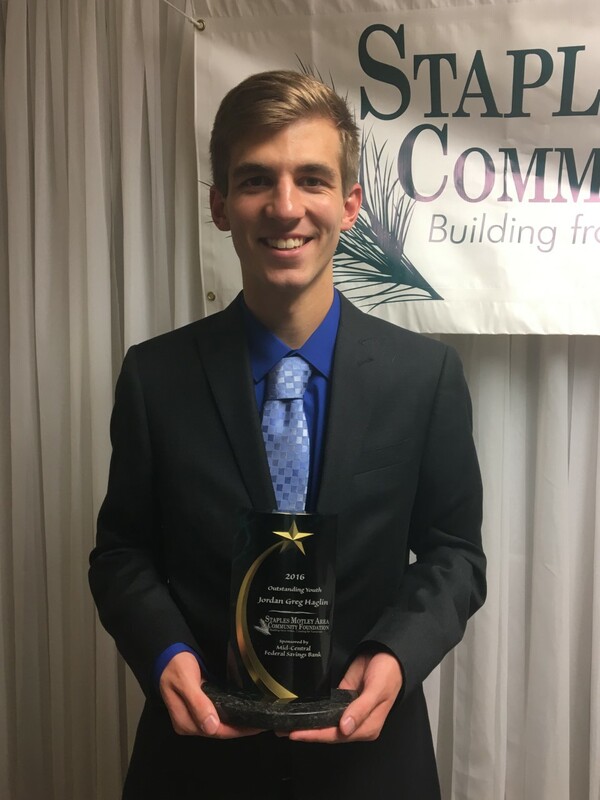 Current student Jordan Haglin was recently recognized by the Staples Motley Area Community Foundation in Little Falls, Minnesota for his involvement in the Little Falls community for the year 2016. Haglin was presented with the Chairman’s Award for Outstanding Youth in October, aiming to honor a local youth for using his or her talents to help others in the community. The award was given during a ceremony that recognized several other community staples including an outstanding citizen, business and organization. Haglin’s activities in his community include being involved in several choir and band groups, treasurer for his school’s student council, chairperson for his youth group and youth representative for Dollars for Scholars. Haglin aspires to have a career in the field of audio and video technology.